Who Got the Gig? Your Art. Our Rooms. Hotels have long been the bastion of cheesy print art. Now, there’s an exception. By Emmanuella de Ruiter. Johnson Witehira - QT Hotel Artist. Witehira created a unique wallpaper design. 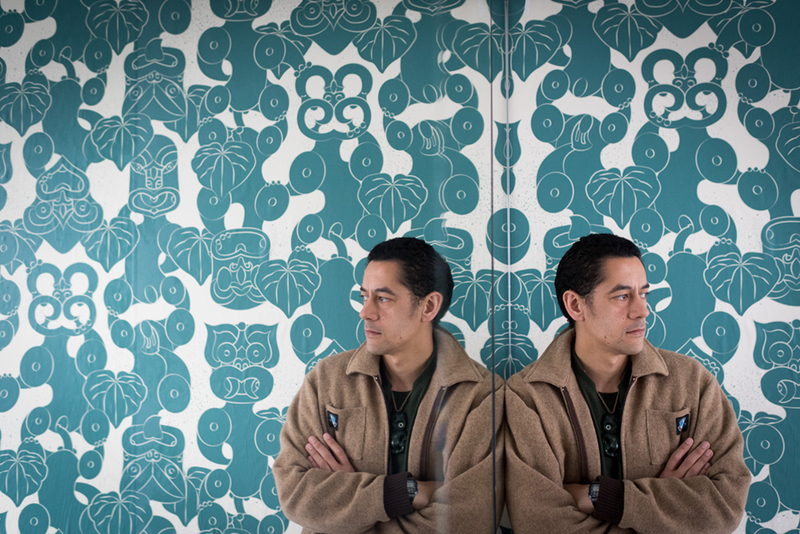 Ngārongo Phillips is one artist who was chosen to make artwork for QT Wellington. Her sculptural pieces are made up of balloons that she has woven into floral-esque bouquets. Flowers are given in times of both celebration and mourning; as a gift or a token of sympathy. Ngārongo explains that her inspiration for the work came from very personal sources, but she hopes it will be accessible to many through the themes surrounding life and death. Similar to flowers, the balloons in Ngārongo’s work also wilt and wither over time; they are temporary and fleeting. Her work is evocative of memento mori, a style of still-life painting originating in the 17th Century, reminding the viewer of their mortality, of the shortness or fragility of life, and to not take it for granted. She will be providing frequent “balloon bouquets” for the hotel to display, but will also have her work Ko wai poroporo aki āki displayed in Gallery 4 as a photograph. Gallery 4 opens Thursday 1st November and rooms are bookable now for stays from Friday 2nd November 2018.
Who Got the Gig? Did you advertise your new gig - or score it - through The Big Idea? Tell us about it! For 15 years The Big Idea has helped creatives find work and opportunities in New Zealand and arts organisations and creative companies find the right people. If you have a new job or position to fill please list it in our Work section, or contact us on advertising@thebigidea.co.nz for more information. Emanuella is a documentary photographer and writer based in Ōtautahi Christchurch. She enjoys writing about people and their unique life experiences — especially when those experiences involve the arts! It’s coming to the OFFSTREETS!